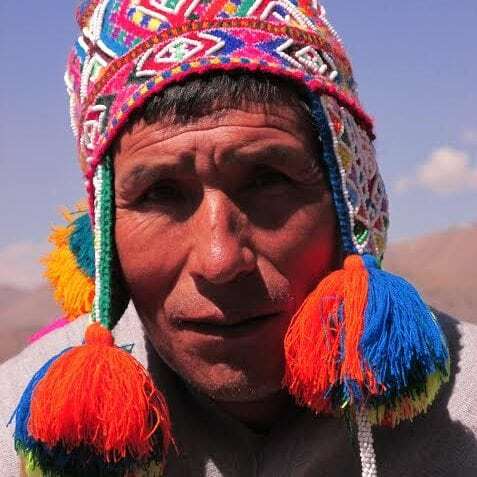 Juan Gabriel Apaza Lonasco is a respected wisdom-keeper of the Q’ero Nation of Peru. Known as the last living descendants of the Inka bloodline, and the keepers of the coca wisdom, the Q’ero still follow the ancient traditions of their ancestors by paying hommage to the Mother Earth (Pachamama) and the Apus (mountain guardians) through traditional “saminchay” fire ceremonies. Juan Gabriel dedicates his life to sharing ancestral wisdom and traditional ceremony to heal at all levels. This passion has guided him to travel internationally for more than 20 years, engaging with indigenous leaders around the world. His dream is to build the Tawantinsuyo Eco-Temple in Peru to encourage indigenous coalitions at a global level.